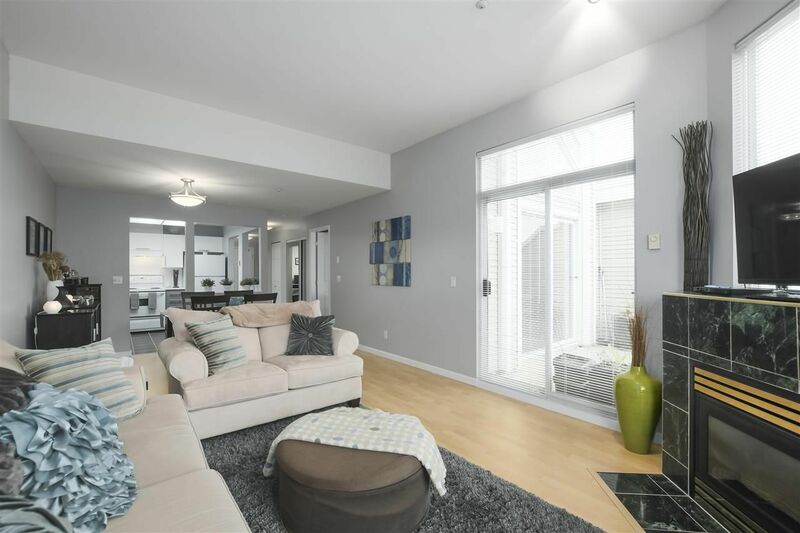 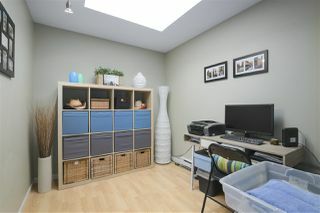 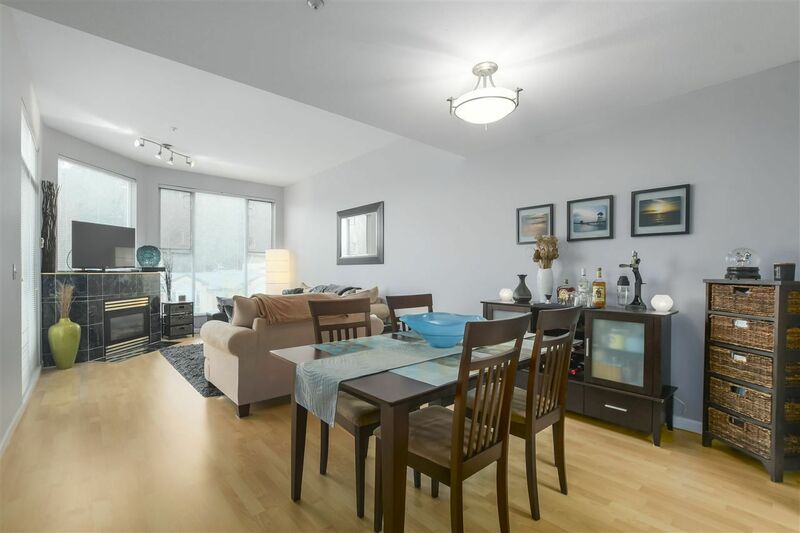 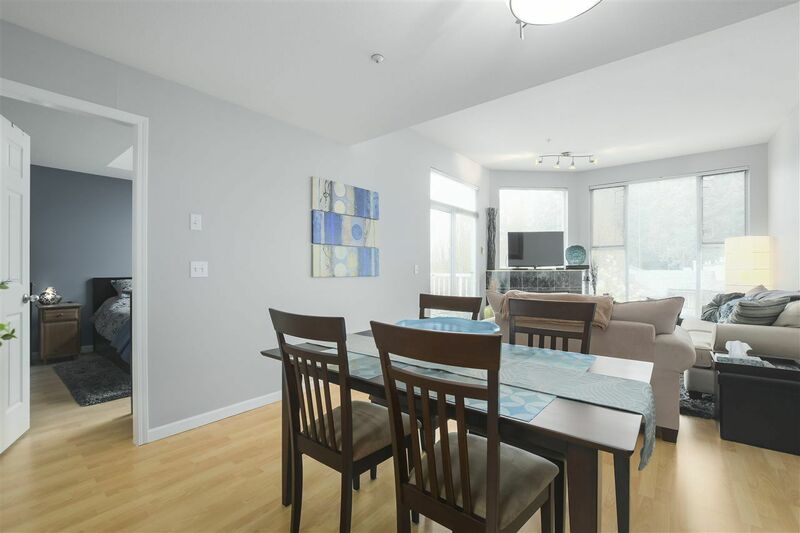 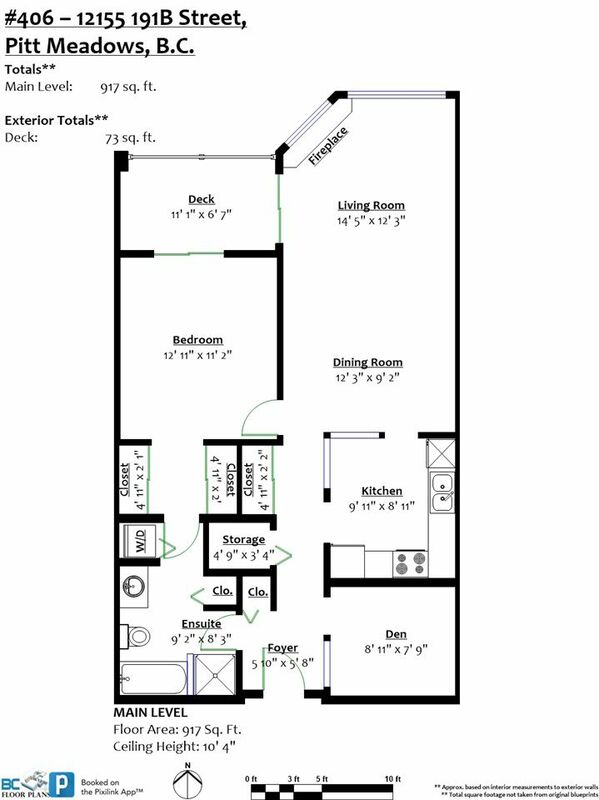 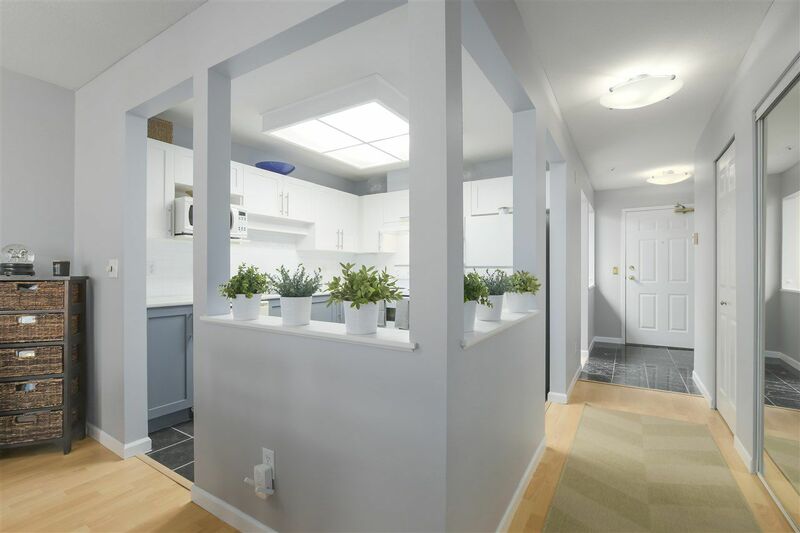 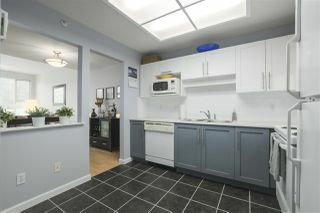 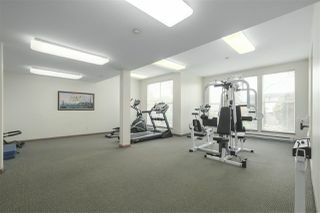 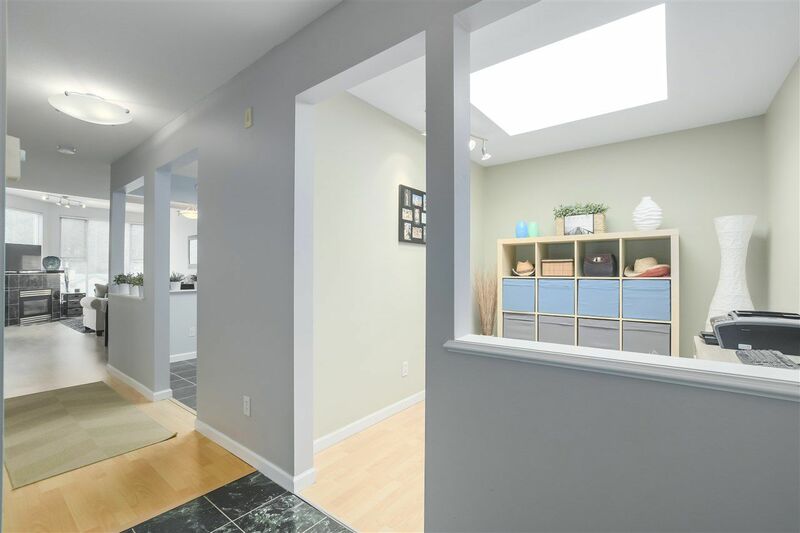 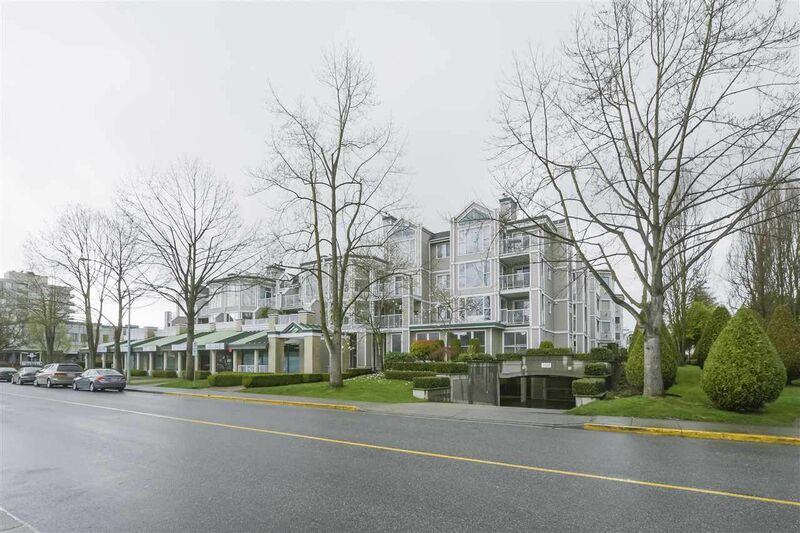 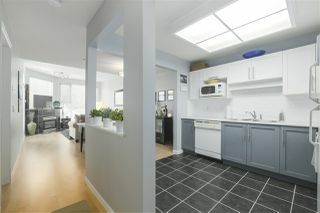 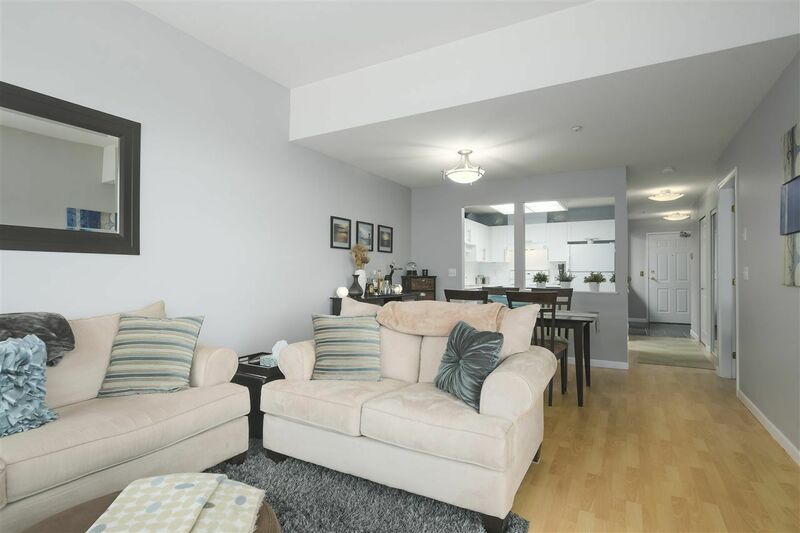 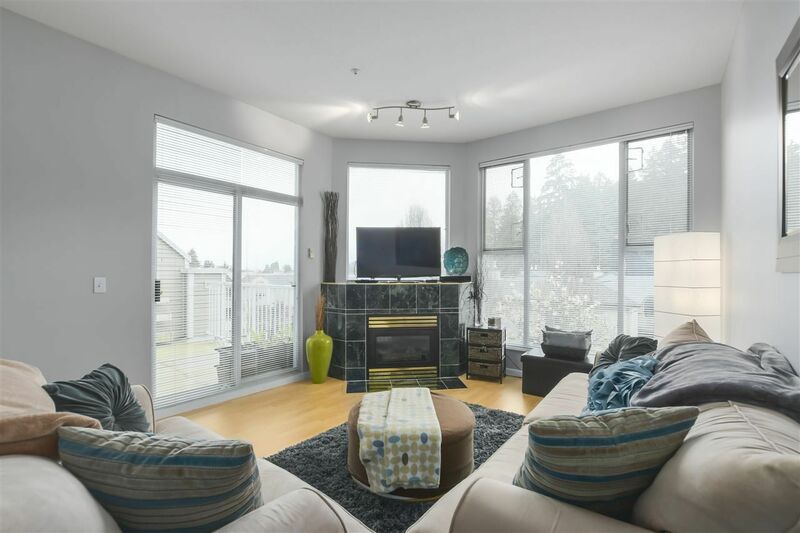 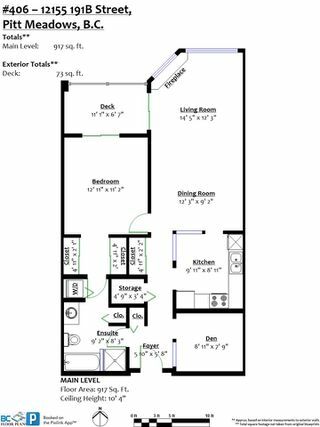 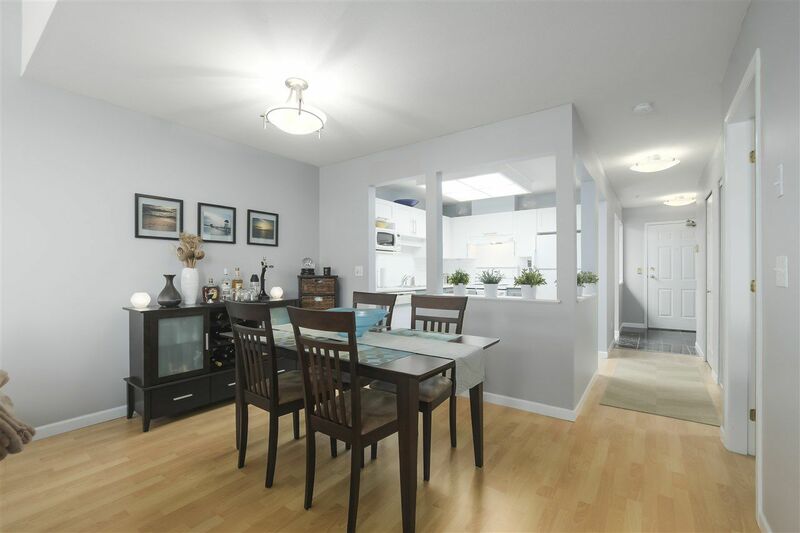 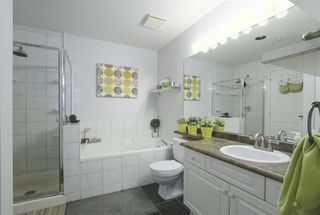 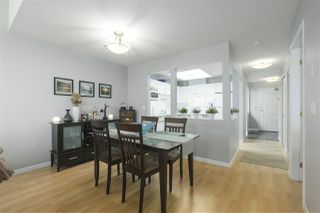 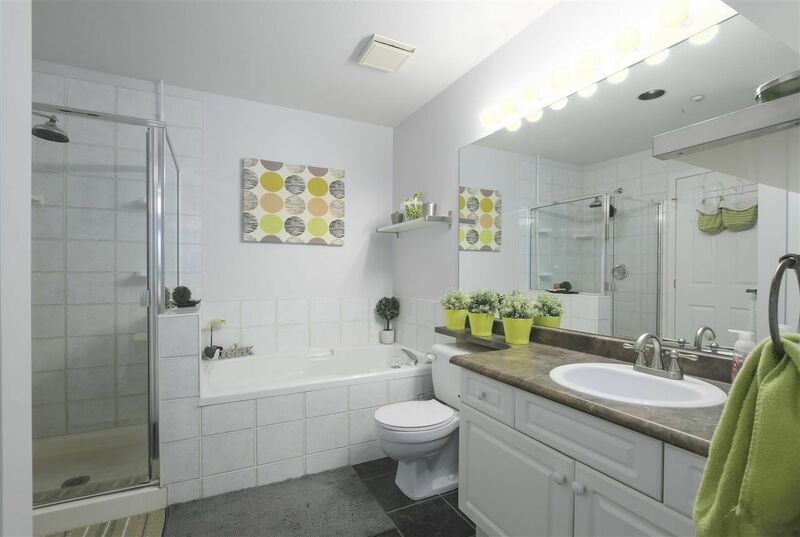 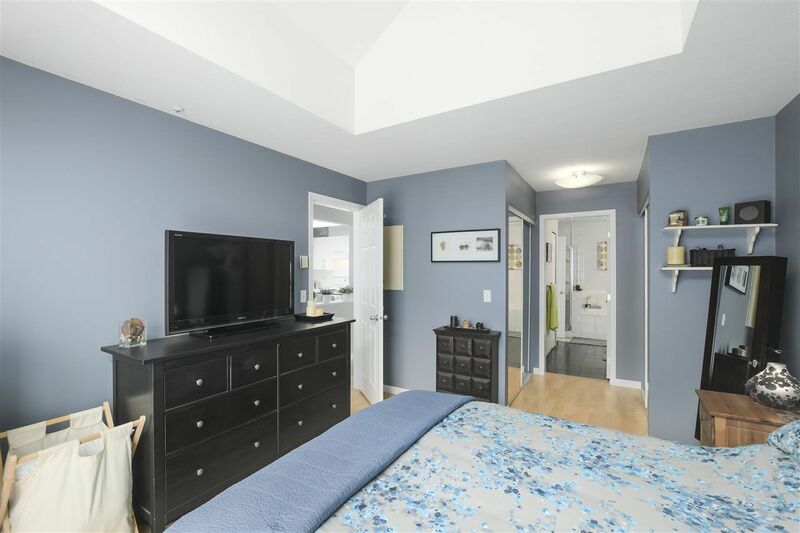 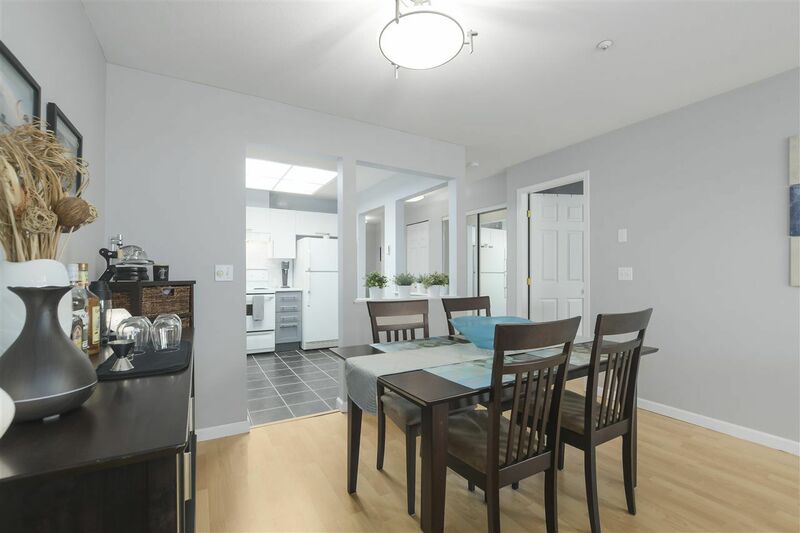 Are you in the market for a centrally located, bright and quiet top floor unit? 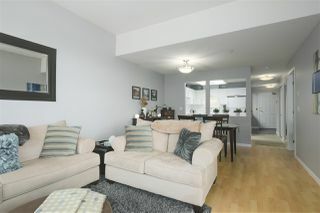 No neighbours above this spacious 1 bdrm + den penthouse! 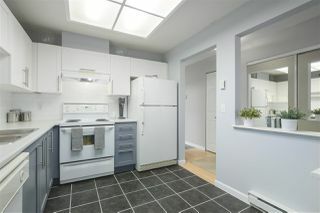 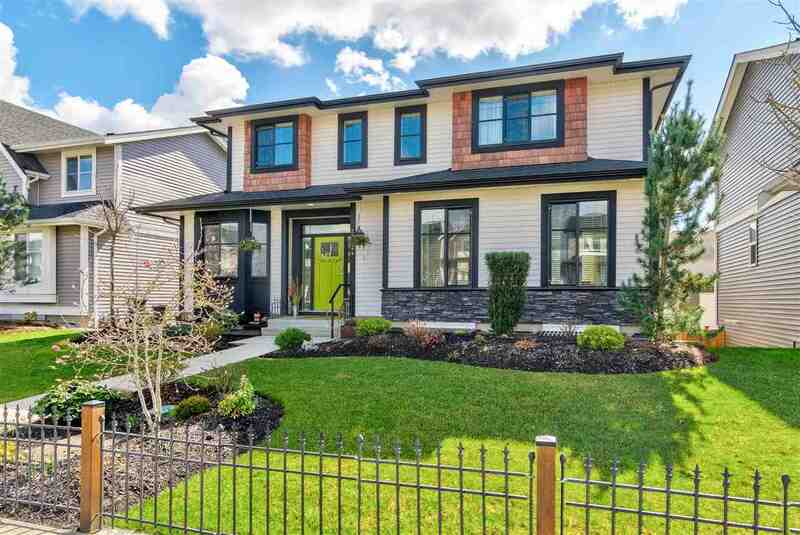 Features include laminate and tile flooring, large bright kitchen, gas fireplace, cheater ensuite with walk-through closets. 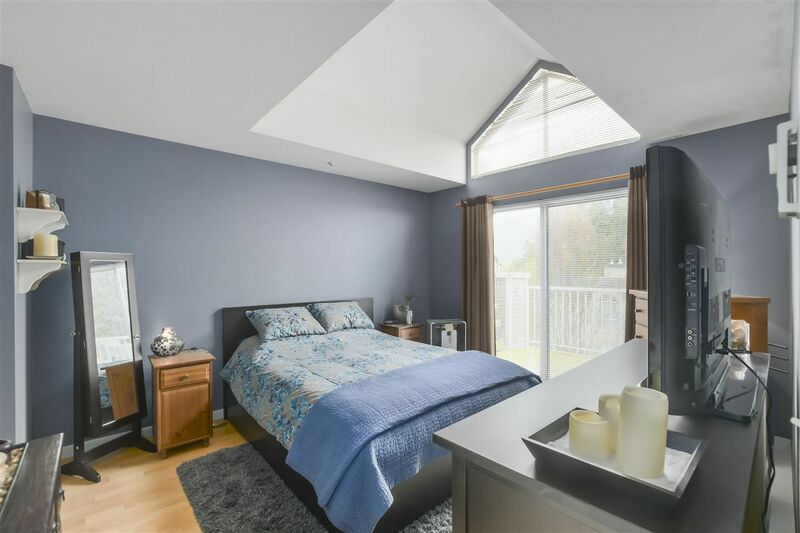 Vaulted ceilings, a skylight and abundance of windows make this space bright and unique. 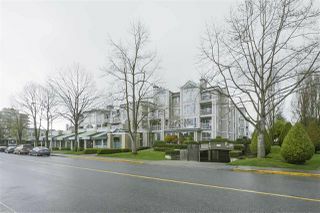 The large north facing balcony overlooks a quiet landscaped courtyard and boasts mountain and park views! 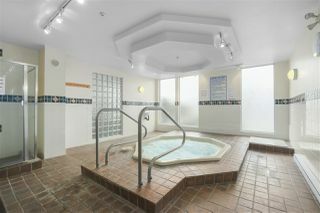 Building features hot tub, fitness room, bike storage and a new roof! This well maintained building is centrally located very close to groceries, coffee shops, restaurants, schools, recreation, library, parks, West Coast Express, the list goes on... Includes 2 parking stalls and 1 storage locker. Open house Sat 1-3 pm.